Hate the grind of always having to find NEW clients? How would you like to start generating so much money from a single client that you’ll never bother going after another one again? A few top business coaches and consultants have discovered a surprisingly simple way to generate hundreds-of-thousands and even millions of dollars, from a single client they already have, and even from ones they don't. I'd like to show you how. Just click that big orange button below. It isn't that I'm bad at selling. I just don't have patience for it. I'm a coach, not a salesman! I'm an expert at behavioral management. But like most business coaches and consultants, I quickly learned that if I want to make a decent living, I need to be a salesman as well? Frankly, that's not what I signed up for. Why can't I just do my work, and not have to spend so much time and effort thinking about where my next client is going to come from??? Then suddenly everything changed... I started making a ton of money without having to find ANY new clients! It happened almost by accident. My client didn't want to follow one of my suggestions, but was willing to let me do it, if I was interested. Although this first opportunity for me revolved around my becoming an online distributor for his product, this technique of generating incredible income from a single client works with both online and offline opportunities, along with some interesting twists that many of us might never even consider. In my case, my client let me be an online distributor for his product. I'd never done anything like that before, but how hard could it be? Right? Well, it was harder than I expected. Between my consulting work and trying to figure out how to sell a product online, I made no money with it for about six months. Eventually, I hired a coach. And I got screwed! He seemed good, but wasn't. Still, I knew this was a great product that should make plenty of money, online or offline. So I did some more research and found another coach, this time a terrific one. And suddenly... almost like magic, the money started pouring in. I remember when I passed $100,000, I started to freak out. This was starting to be more money than I was making as a consultant. A lot more, for a fraction of the work I had to do. Soon it passed into seven-figures. I had never generated more than a million dollars before. It was exciting, but it was also frightening. I had a Wayne's World moment, thinking... "I'm not worthy! I'm not worthy!" After all, I'm just a consultant. My clients are supposed to be making the big money, not me??? As it turns out, this is a moment of reality that strikes many people, once they start making a lot more money than they're used to. The good news is, I got to KEEP my money, just like all the other coaches and consultants who've figured this out. Like me, loads of people are discovering there are some pretty simple ways to flip the switch and suddenly start generating the kinds of incomes many of us only dreamed of. It was also just the first of many ways I discovered, that generate terrific incomes, especially for coaches and consultants. We have so many ways, it almost feels like cheating. Believe it or not, it's more natural than most of us realize, which is why so many of us are finally taking advantage of these incredible opportunities. When done right, we get a happy client while our own bank account skyrockets. As a coach with the U.S. Small Business Administration, loads of coaches and consultants have been asking me about this. So I put it together in a quick book. If you'd like a copy too, it's absolutely free. So you can get a taste of some of the incredible "behavioral management" tools that few coaches and consultants are aware of. 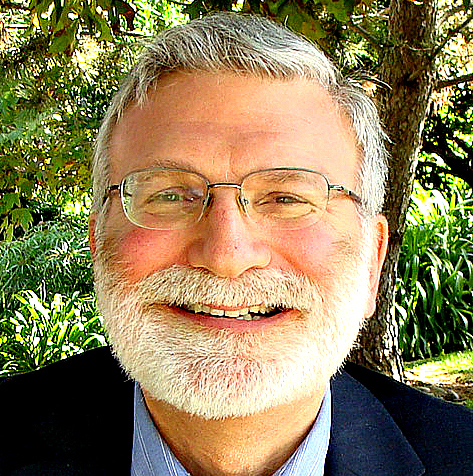 These are helping us all generate a greater income and more happiness in our lives, and I think you'll find it interesting and relevant. Here's what I've included in the book. 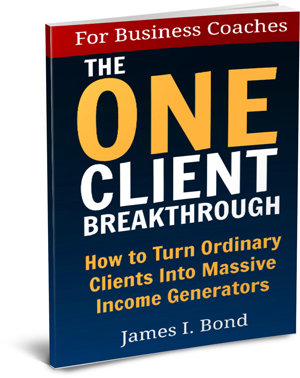 It outlines the THREE most common ways business coaches and consultants are generating major "extra" incomes, often from a single client they already have, and even from people who are not clients. 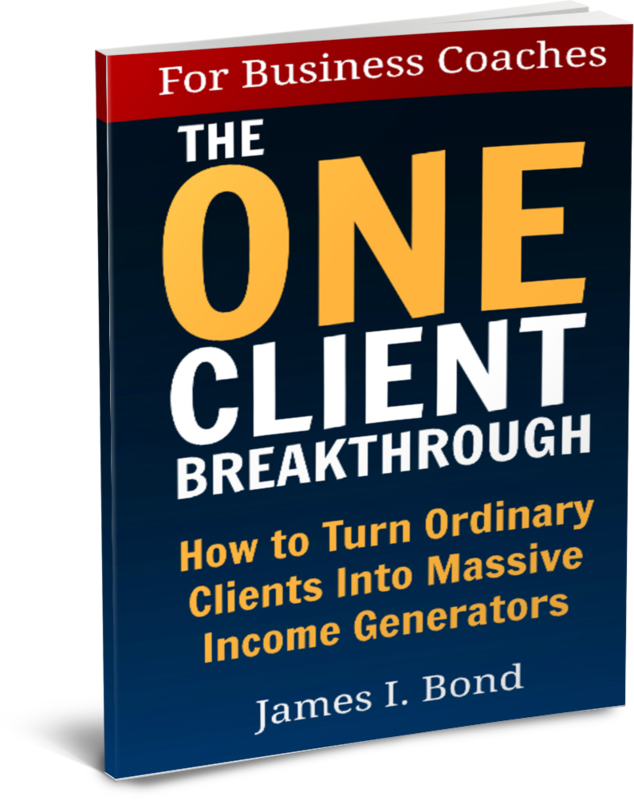 It's called, THE ONE-CLIENT BREAKTHROUGH, and I think it'll get you to start recognizing these types of opportunities, often just inches from where you are right now. It's just 35-pages, so you should be able to skim through it pretty fast. Just click the orange button below for instant access.